Exactly two years ago, I was sitting in a bed, hungover and in a fight with my liver after meeting Abbey, of A Chick With Baggage, in Dublin. For four days, we took on Ireland, hitting the Jameson Distillery, Guinness factory and pretending we owned Temple Bar. The day before St. Patrick’s Day, we, along with two of her friends, drove her tiny car across the country to Galway, where Abbey was living. To celebrate St. Patrick’s Day IN Ireland … what an experience! 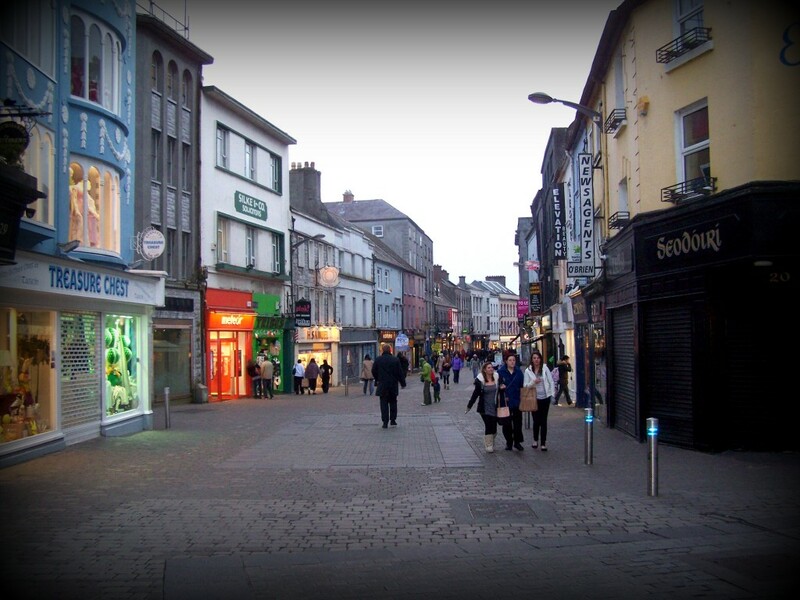 Here, Galway surrenders to the twilight of evening, the day after celebrating St. Patrick. Oh yeah!! Definitely fun and memorable! I was just thinking how fun it would be to spend St. Patty’s Day in Ireland. I think I’m adding that one to the bucket list now. Lovely photo! It was definitely fun! And seriously hard on my body. I remember the final night in Ireland, I was BEAT, barley had a voice and was asleep by 8 p.m.
Galway is a really nice town. I can recommend a couple restaurants: Eastern Tandoori on Bridge Street and Thai Garden over by Spanish Arch. Thanks for the tips! I don’t remember everything I saw there … but the statue sounds familiar!